Eating healthy fats is one of the cornerstones of the keto diet in addition to moderate protein and low carbs. On the keto diet, fat makes up 70 – 75% of your daily nutrition intake. This ratio is necessary in order to get your body to a state of ketosis. However, not all fat is created equal. Just because something is fatty doesn’t mean it’s ideal for the ketogenic diet. 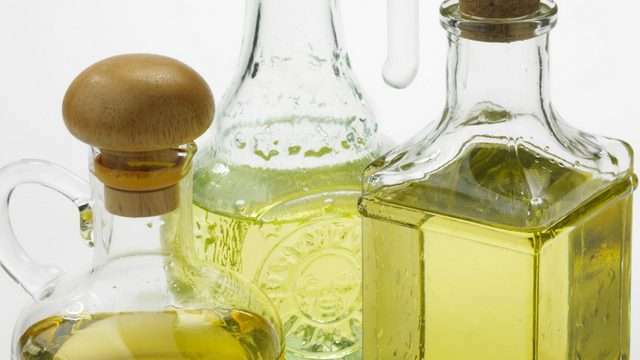 Part of adding healthy fats to your keto diet include cooking with natural oils that contain saturated fats and monounsaturated fats and avoiding processed polyunsaturated fats (covered in the next article). Healthy natural oils are great for the heart, lower bad cholesterol, lower blood pressure, reduce insulin resistance and belly fat, and combats inflammation in the body. 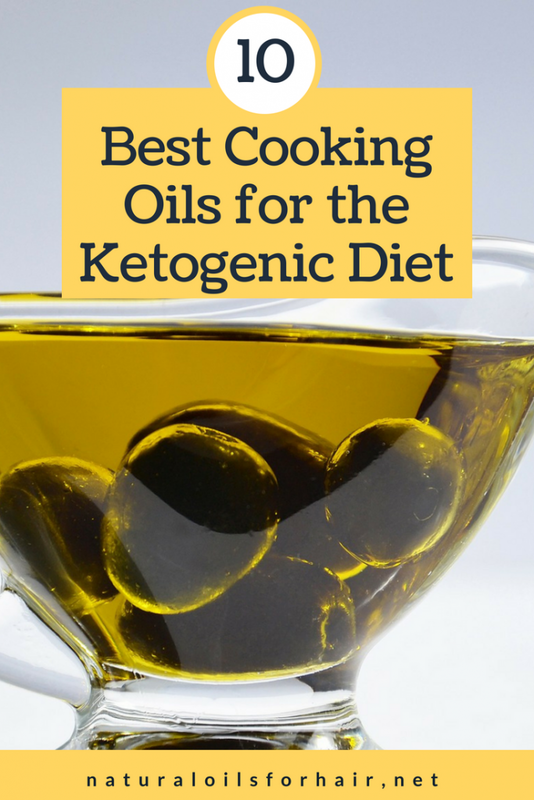 This article will cover the 10 best natural oils for cooking on the ketogenic diet. These oils have been featured as well in the cooking with oils series on the blog. Avocado oil is rich in vitamins A, D & E, lecithin and potassium. It also contains proteins and beta-carotene. It also contains essential unsaturated fatty acids such as palmitic, palmitoleic, stearic, oleic, linoleic and linolenic. Its profile is similar to almond oil and olive oil. Use avocado oil for cold cooking such as salad dressings, marinades, and dippings. Authentic unrefined avocado oil is usually a rich green color. The recommended brands of avocado oil are La Tourangelle Avocado Oil and Primal Kitchen Cold Pressed Avocado Oil. Extra virgin olive oil (EVOO) is one of the best natural oils. It is versatile and multifunctional. It is heart healthy and contains oleic acid. Oleic acid is a monounsaturated fatty acid in addition to linoleum acid, palmitic acid, stearic acid, vitamin E and oleuropein. Extra virgin olive oil is cold pressed and contains many antioxidants. There’s a reason why it’s the main component in Mediterranean cooking. Extra virgin olive oil (EVOO) is best for finishing off a dish such as in salad dressings, as a dipping sauce ingredient, etc. It can also be used for light cooking such as sautéing veggies and pan searing seafood. Some excellent recommendations for extra virgin olive oil brands include Barbera Lorenzo Organic Sicilian Extra Virgin Olive Oil, Venta del Baron Extra Virgin Olive Oil and Bono Sicilian Certified PDO Val Di Mazara Extra Virgin Olive Oil. You can also read Guide to the Best Brands of Extra Virgin Olive Oil for Hair, Health and Beauty for even more extra virgin olive oil recommendations. Extra Virgin Coconut Oil (EVCO) contains a significant amount of medium-chain triglycerides (MCTs), which help boost metabolism and speed up ketosis. Extra Virgin Coconut Oil (EVCO) also contains lauric acid and capric acid, which contain antibacterial properties. Extra Virgin Coconut Oil (EVCO) is ideal for high heat cooking because of its high smoking point. 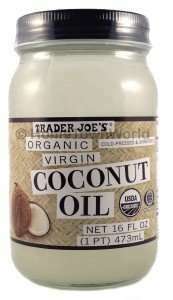 You can use extra virgin coconut oil for frying, sauteing, baking and roasting. I also use it in my marinades and smoothies. Extra virgin coconut oil is one of the most popular oils for the keto diet so you want to buy large quantities at a time. Extra virgin coconut oil also has a long shelf life. Hazelnut oil is strongly flavored and used by many chefs in cooking because it adds a whole other level to great dishes. The essential fatty acid content of hazelnut oil is similar to olive oil. Use hazelnut oil in baking, as a replacement for pine nuts and walnuts in pesto, drizzle over salads, and for marinades and sauces. Some excellent recommendations for hazelnut oil brands include La Tourangelle Roasted Hazelnut Oil and Roland Hazelnut Oil. Hemp seed oil has a nutty flavor and is greenish in color. Hemp seed oil is a good source of vitamin E and has the perfect 3:1 ratio of omega-6 to omega-3 essential fatty acids, which is the optimal requirement for a healthy body. Hemp seed oil contains polyunsaturated fatty acids. However, aim for an unrefined brand. Additional minerals in hemp seed oil include potassium, iron, zinc, calcium, magnesium, and phosphorus. Use for light cooking in small amounts. I use it sometimes in my daily smoothies. 1 – 2 tablespoons at a time is more than fine. 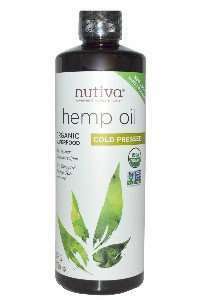 Some great brands of hemp seed oil include Just Hemp Foods 100% Cold Pressed Hemp Seed Oil and Nutiva Organic Hemp Seed Oil. Macadamia nut oil is one of my favorites for the skin. Macadamia nut oil contains the perfect ratio of omega 3:6. When you add it to your diet, it promotes a healthy heart and efficient functioning of the immune system. You can add it in salad dressings and for sautéing. Some excellent recommendations for macadamia nut oil brands include Species Macadamia Nut Oil and Roland Virgin Macadamia Oil. Red palm oil is derived from the reddish pulp fruit produced by palm trees. Red palm oil is rich in beta-carotene, which the body converts into vitamin A. It also contains carotenoids, phytosterols, squalene, vitamin E and CoQ10. Red palm oil is a very popular ingredient in West African cooking where palm trees are primarily grown. Red palm oil is another one that is ideal for high heat cooking because of its high smoking point. Like coconut oil, red palm oil also becomes solid at room temperature but a little bit of heat easily melts it. Buy sustainable red palm oil as irresponsible harvesting of the oil palm can lead to deforestation and endanger orangutans. 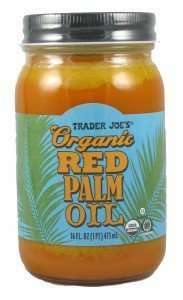 The recommended brands of red palm oil are Trader Joe’s Organic Red Palm Oil, Juka’s Organic Red Palm Oil and Nutiva Organic Fair Trade Red Palm Oil. Extracted from pistachio nuts, pistachio oil is a bright green color and tastes delightful with a distinctive pistachio taste. Drizzle over steamed vegetables, over a salad, or as a topping to finish a dish. Can also be used in baking and marinades. Pistachio oil is high in vitamin E as well as monounsaturated fats with a bit of linoleic fatty acid. Pistachio oil is also rich in biotin so if you have hair loss issues while on the keto diet, this oil will help. Some great brands of pistachio oil include Nutrawbar Organic Expeller Cold-Pressed Pistachio Oil and La Tourangelle Roasted Pistachio Oil. Pumpkins are very popular for cooking a wide variety of dishes like pies and soups, and of course, it brings Halloween to mind. Pumpkin seed oil is produced from the seeds scraped out a pumpkin. Pumpkin seed oil is a rich dark green color and changes to red depending on the concentration and thickness of the layer. 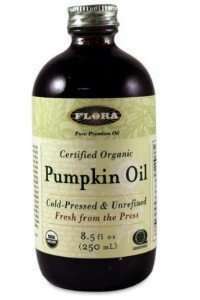 Pumpkin seed oil is a rich source of omega-3 and omega-6 fatty acids, zinc, vitamins E and K and phytosterol. Pumpkin seed oil is best used for cold dishes as it becomes bitter if it’s heated up. Think drizzling over dishes or in dipping sauces. This is another oil that assists with hair loss recovery. Some great brands of pumpkin seed oil include Flora Certified Organic Pumpkin Oil, Seed Oil Company Pumpkin Seed Oil and La Tourangelle Toasted Pumpkin Seed Oil. Walnut oil is extracted from English walnuts and is rich in zinc, manganese, niacin, potassium, and copper. A good source of omega-3 fatty acids and monounsaturated fats. Use as a dressing for salads and can be also be used for light cooking like grilling seafood. Some great brands of walnut oil include La Tourangelle Roasted Walnut Oil and Jean LeBlanc French Walnut Oil. Cooking oils with a high smoking point can be used for high heat cooking like frying and roasting. These oils can be heated safely without damaging its structure and loading the oils with free radicals although you shouldn’t reheat the same batch of oil over and over again. Related Content: Do You Know What the Shelf Life of Your Oil Stash Is? Walnut Oil – can also be used for grilling seafood. Though these natural oils are healthy, remember they should all be consumed in moderation. You don’t have to consume all the natural oils recommended above. One or two at a time is more than adequate. The plans start from $5 and offer a free trial period as well so don’t be apprehensive about checking it out and getting started on your keto diet today. Tried the Instant Pot Yet? 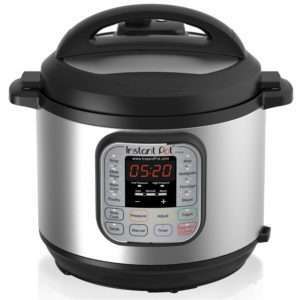 Get your meals prepared faster with the Instant Pot. It’s a fast, easy and healthy way to try out a lot of recipes and save time. Let me know if you have any questions about ketogenic oils in the comments section.